Keystone Compliance is a fully-compliant climatics testing lab with the expertise and experience to assist manufacturers in meeting their regulatory compliance needs. What differentiates Keystone Compliance from other EMC labs are its staff, technical capabilities, facility and equipment. Staff: Keystone Compliance is an accredited laboratory with a staff of engineers and report writers with the technical expertise to meet testing requirements with thoroughness, accuracy and efficiency. The staff at Keystone focuses on proactive communication with the customer. Our engineers understand the importance of providing technical feedback and detailed reports with quick turnaround times. Our goal is to expedite the testing process with positive results for the customer. Technical Capabilities: Keystone Compliance’s specific climatics testing capabilities include, but are not limited to, testing to the following standards; AREMA, CENELEC, EN 61373, IEC, IP Code, ISTA, MIL-STD 202, MIL-STD 750, MIL-STD 810, MIL-STD 883 and RTCA-DO 160. 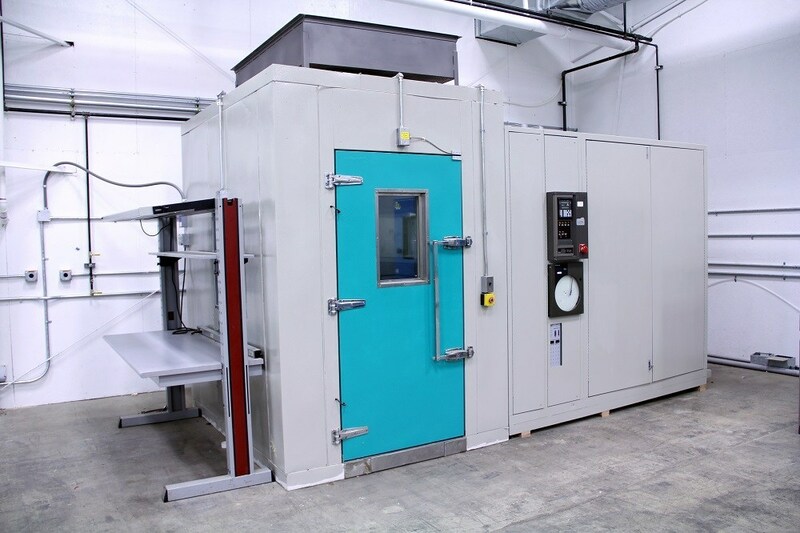 One walk-in environmental chamber that has temperature and humidity. Inside dimensions are 12’ wide by 15’ deep by 10’ tall with a 9’ tall by 8’ wide door. One altitude chamber measuring 19.5′ in diameter and capable of 100,000 feet simulated altitude.